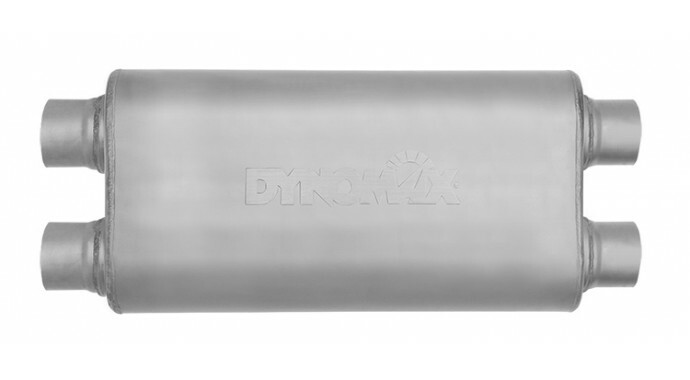 DynoMax® Ultra Flo™ X performance stainless steel mufflers feature 100-percent welded construction for lifelong durability. Ultra Flo™ X incorporates a 3-in.diameter X-pipe balance tube inside the muffler - promoting exhaust scavenging and equalizes flow. Each muffler uses our exclusive Continuous Roving Fiberglass (CRF) Technology to absorb unwanted interior resonance while maintaining a deep performance tone. The "Pure Unadulterated POWER" of DynoMax® Ultra Flo™ X mufflers are backed by a Limited Lifetime Warranty.